Report cards are perhaps the most anticipated report of the school year. A cumulation of a student’s hard work throughout the year, a report card can be a huge reward for dedicated students and their parents. Report cards, however, can be a time-consuming undertaking for both the office and teachers. 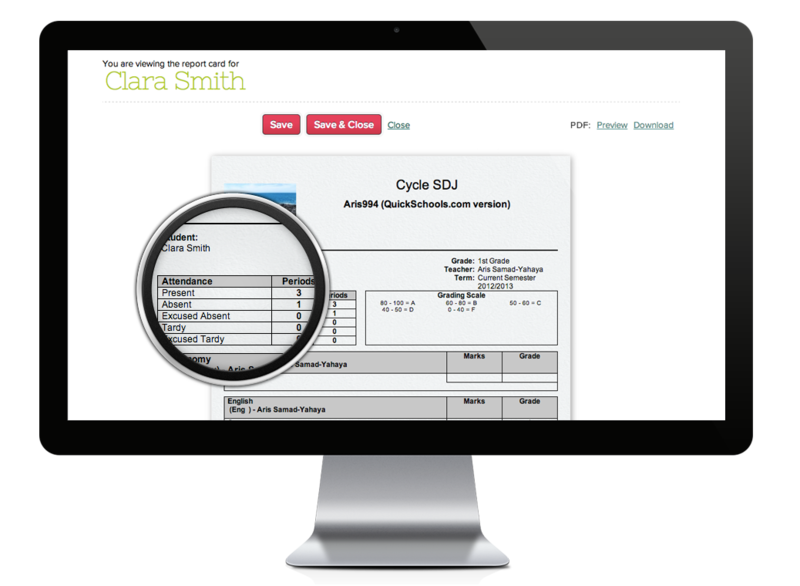 QuickSchools streamlines this process so that report cards are no longer a hassle to produce. QuickSchools automatically completes report cards using the school’s interactive database. Report cards are totally customizable so you can include the information that is important and unique to your school. Once teachers and administrators finalize and approve the report cards, they are available immediately to students and parents. If you are looking for a school management system with report card generator, look no further as you have come to the right place. Our report card system is both easy to use and robust in it's functions. The report cards feature uses the interactive database which includes student information, attendance, and grades. This information is always up to date, so when it is time to produce report cards, a click of a button is all it takes. 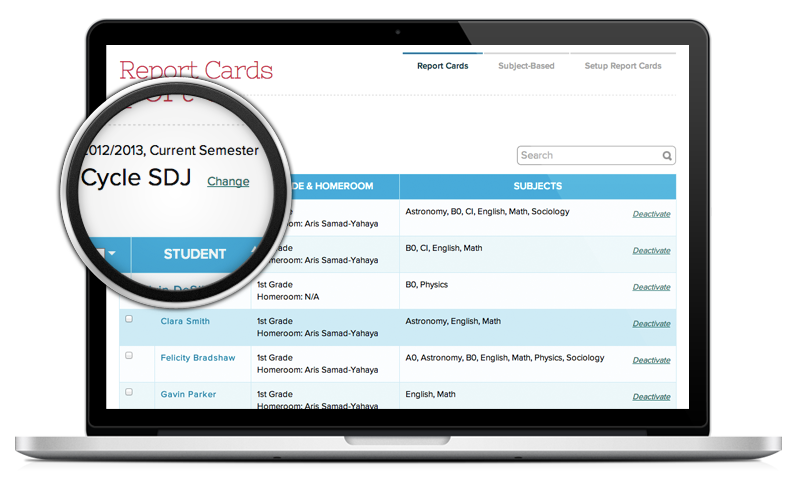 QuickSchools uses the customized report card template and database information to autocomplete student report cards. This eliminates the need for late nights and calculators trying to figure out each and every student’s grade. It also reduces grading and mathematical errors. After QuickSchools generates all of the school’s report cards, all teachers and administrators need to do is review and approve them. Once report cards are finalized, PDF versions of student report cards can be made available to students and parents immediately through the Parent Portal. School administrators can also print and mail report cards to parents for their official records.